The Ohio Oil and Gas Energy Education Program (OOGEEP) and the Ohio Oil and Gas Energy Education Foundation are accepting first-time and renewal applications for their 2019 Oil and Gas Energy Education Scholarships now through March 1, 2019. Below are additional links to OOGEEP’s workforce development activities, including a video series on the 75+ in-demand jobs in the crude oil and natural gas industry. Gov. DeWine will provide his remarks and address career-technical educators at the 2019 Legislative Seminar on Jan. 23. "I am so pleased that Gov. DeWine will take the time to meet with career-technical educators at the Legislative Seminar," said Christine Gardner, Ohio ACTE Executive Director. "He has long been a supporter of CTE, and we appreciate that he will make our conference one of his first addresses at such a busy time - the very beginning of his term as Ohio Governor," Gardner added. Click here for the complete Seminar agenda and to register. Additionally, students will have an opportunity to learn about the building blocks of state government and watch the inauguration. At noon on Jan. 14, Gov.-elect Mike DeWine and Lieutenant Gov.-elect Jon Husted will take the oath of office during a public ceremony at the Ohio Statehouse in Columbus. There are many learning opportunities connected to this event, and the Ohio Department of Education has resources for educators to jump-start classroom excitement. Students in the classes of 2019 and 2020 now have additional options to satisfy state graduation requirements. Students who entered grade 9 after July 1, 2014, are the first to earn diplomas under the new graduation requirements. Each year, Ohio ACTE honors outstanding educators and others who support career technical education, at the Connections to Education Conference in July. Ohio ACTE is now accepting nominations for the 2019 Educator Awards. Do you know an individual who deserves recognition? Deadline for nominations is January 15, 2019. Fill out our online nomination form and find out more by clicking here. 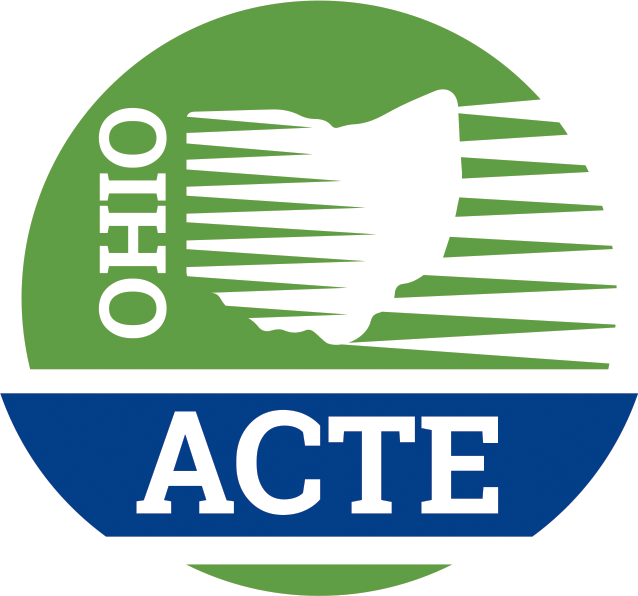 *Ohio ACTE Award recipients in these categories are eligible to win Region 1 and National ACTE recognition. Do you know an individual who deserves recognition? Fill out our online nomination form by clicking here. Opportunities for stakeholder feedback on topics related to the state transition and 4-year plans. All regional meetings will be held from 9:00 AM – 3:00 PM. Meals are not provided, but there will be a break for lunch. Please plan accordingly. Shifts responsibility to States to determine their performance measures, including new program quality measures, and related levels of performance to optimize outcomes for students. This meeting is recommended for Superintendents, Career-Technical Education Directors, Treasurers and Postsecondary and Adult Perkins recipients. Subsequent meetings with broader stakeholders will be scheduled in the future. To RSVP for one or more of these meetings, please click on the below link. Relevant materials will be sent in advance of the meeting. Please contact Samantha Fallucco with questions regarding registration. The amendment also requires that ODE, in consultation with the business community, present recommendations for a long-term fix by April 1, 2019.